Despite the short daylight hours and colder weather our four new Aracuna chickens are outdoing themselves with their egg production. Even the two older girls living in the “Mini-Coop” in the orchard are laying. 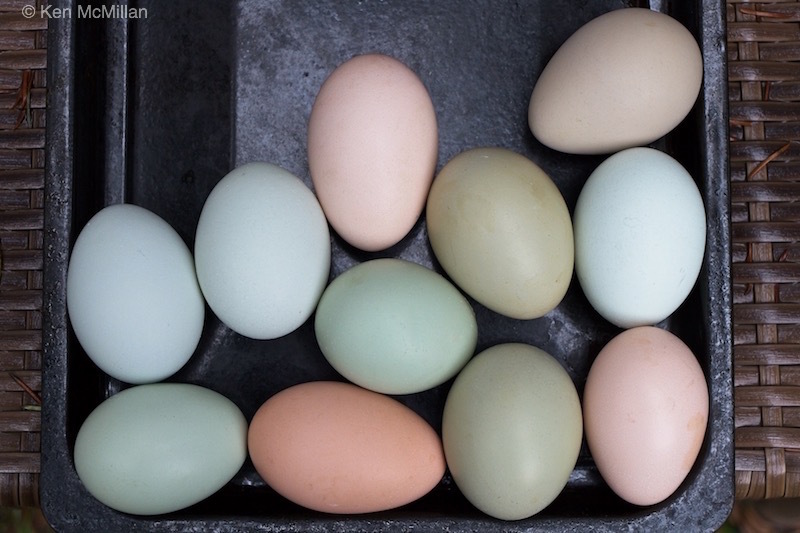 So…usually five to six eggs a day in lovely pastel colours. The Aracuna’s in shades of blue and green and the Blue Sumatra/Rhode Island Red mix producing brown eggs.